Samsung Galaxy S8/S8+ update: Final version in January? S8 and S8+ were released with Android 7.0 Nougat and Samsung Experience in Version 8.1. Though they skipped a Nougat version, many users will be pleased that the popular flagships will not wait much longer for the final version of Oreo, which will be released via OTA. According to previous reports from British company officials working with the Galaxy Beta Team, work on the final version of Android 8.0 Oreo will be completed by the end of January and the release will therefore take place between January and February 2018, depending on how many issues the team encounters. Now Samsung has specified that the beta program will close on January 15, with today (January 5) being your last chance to sign up. This must mean that the company is done testing and the update to Oreo is just around the corner. The new firmware has also been certified by the Wi-Fi Alliance, but there’s a caveat: the list of certified models by the Wi-Fi Alliance (a nonprofit that certifies Wi-Fi products) doesn’t include some of the ones from the US. Over at the website of The Wi-Fi Alliance, we can see that several models of the Samsung Galaxy S8 have passed through its process. These models include SM-G950F, SM-G955F, SM-G950FD, SM-G955FD, SM-G950N, SM-G955N, SM-G950X, SM-G955X, SM-G950XN, SM-G955XN, SM-G950XC. 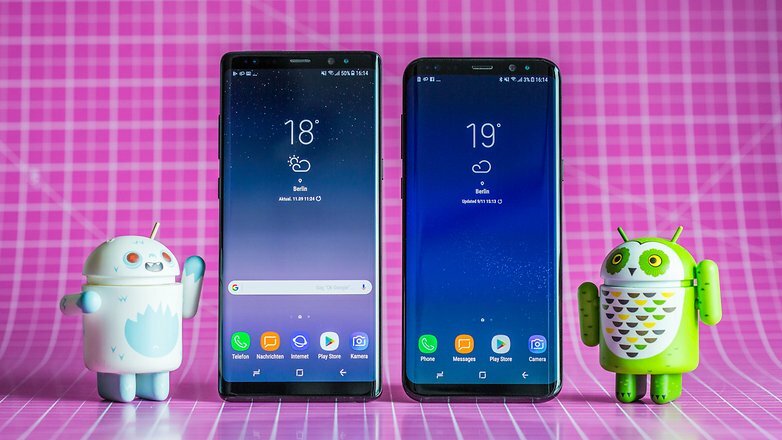 The model numbers correspond to the European, Asian (India and Singapore), Korean, and Global versions of the Samsung Galaxy S8 and Galaxy S8+. This is all in line with earlier news that led us to expect an official update by the end of January. From the looks of it stateside users, especially those that have carrier-issued devices, will have to wait a little longer to get that delicious Android cookie. Some impatient owners of the US variant of the Galaxy S8 (with the Snapdragon 835 processor) have resorted to sideloading an unreleased beta build leaked on Reddit and discovered an interesting tidbit—their devices now have a Dolby Atmos toggle in the settings! Dolby Atmos is audio software for fine-tuning EQ settings and surround emulation for headphone use. According to the Reddit thread where the leak is discussed, there are 4 presets to choose from — Auto, Movie, Music, and Voice. The poster notes, however, that the software still has bugs. Switching between the four presets makes no difference in sound and the Dolby Atmos feature can’t be turned off once it has been toggled on. Still, it’s an interesting teaser for what’s to come. We hope that thanks to Android Oreo and Project Treble Samsung will be able to provide faster and more timely updates in the future, since apparently S8 owners will only receive the final version of Oreo shortly before the release of Galaxy S9. And what about the proud owners of the Galaxy Note 8? Some users have reported that their Note 8 has received a test version of Oreo, but we don’t know when the big boy will get an official update yet. Select Download Updates Manually and wait a few seconds. If a new package is present, proceed with the download and install it. Are you curious to discover Oreo’s new features on the Galaxy S8?